The black flower has a very unique appearance compared to a white flower. But black and white flower provide its own beauty and beauty. 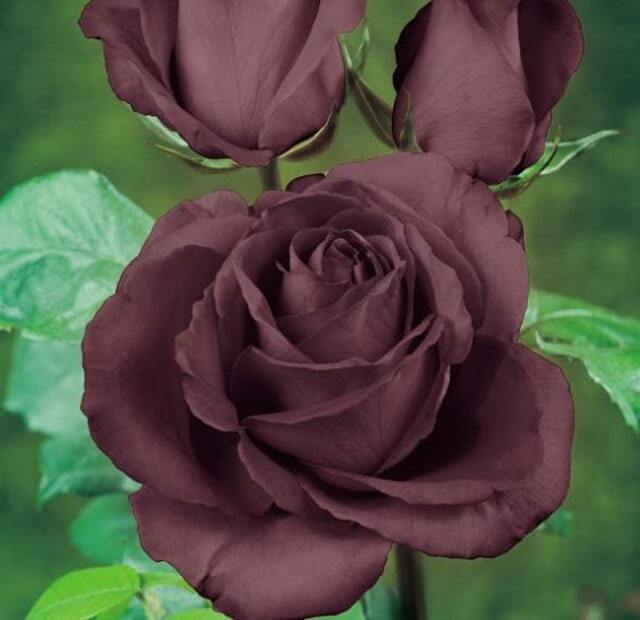 It is not like most people think when it blooms it is not completely dark black but it is a deep purple so that it looks like black. 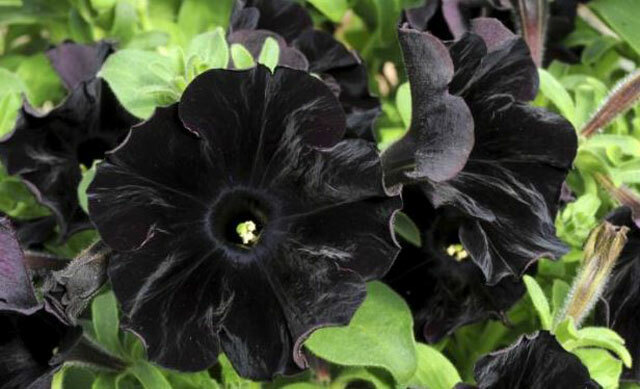 The rare black flower gives intrigue to the garden and symbolizes strength, mystery, and elegance. 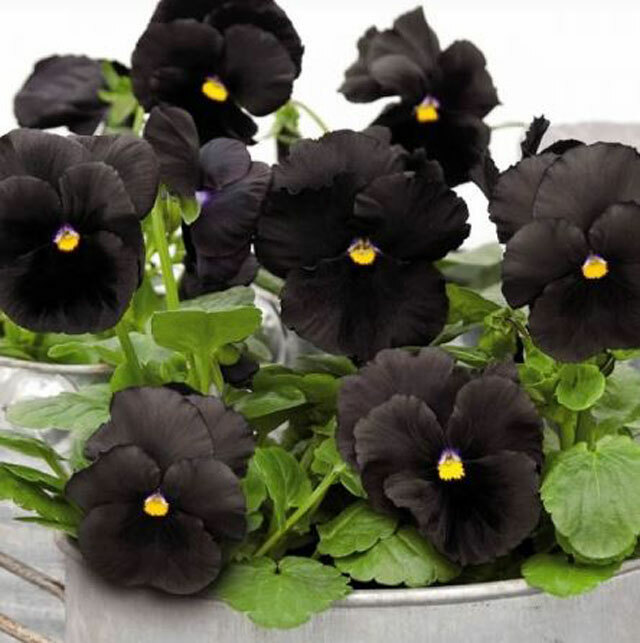 If you want to see the difference in your garden, the following black flowers can provide a solution for you. 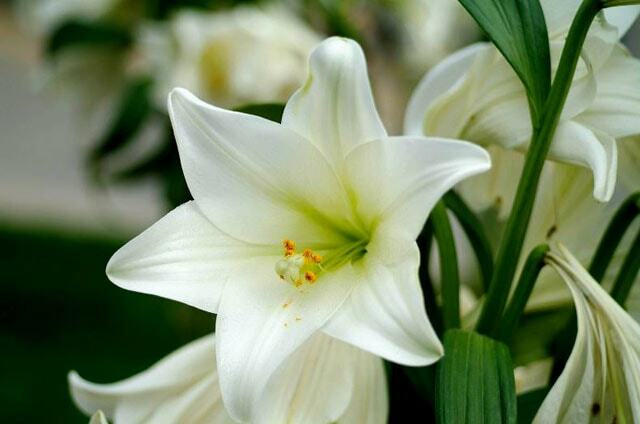 While the white flower symbolizes purity, peace, and displays the impression of heaven and holy feelings. 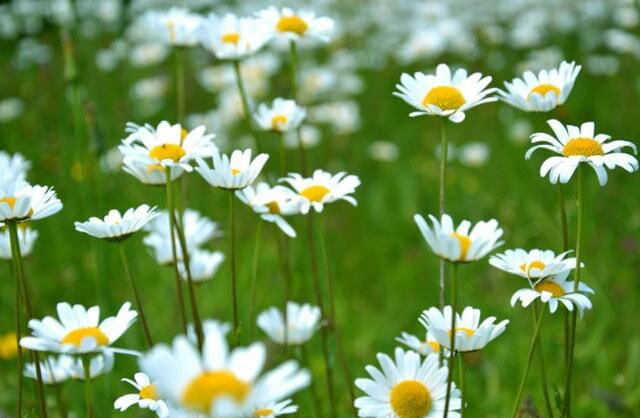 Usually, people give white flowers as a form of sincerity, honesty, openness and cleanliness, appreciation and innocence. Giving someone a white flower symbolizes brightness in life and beauty. Unlike black flowers, white flowers are often used in marriage and other parties. At the wedding party, white flowers symbolize the perfection, innocence, and simplicity used by the bride who is still being treated. 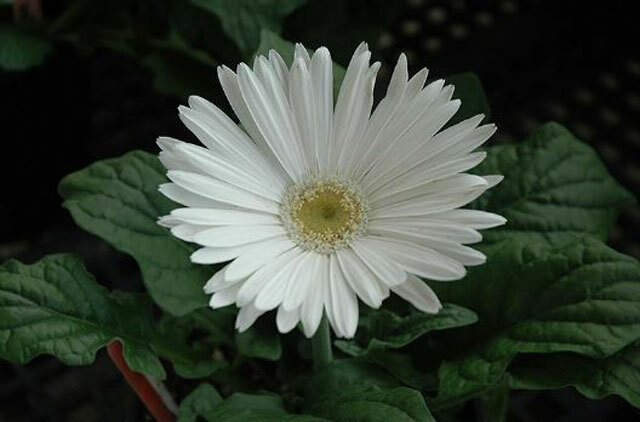 Ok, if you are interested in white flowers, you can also try one of the flowers we offer below. 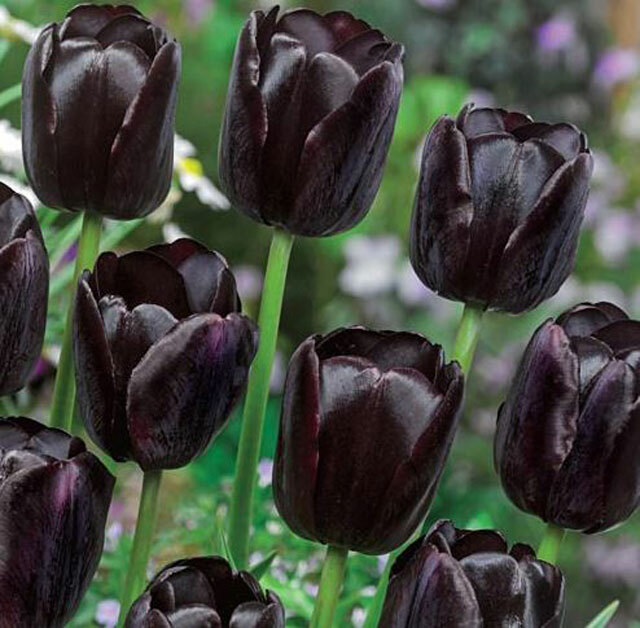 One black flower is black tulips, it looks unique and exotic. Very good when coupled with white flowers, red in bouquets. The color of the black tulips will look appalling when paired with yellow pansies. Queen of the Night Tulip blooms in spring and can grow to 24 cm. The treatment is not difficult so many planters maintain these plants, especially those who are busy with a lot of business. This flower is often used in wedding bouquets and it gives a dramatic impression. This black flower symbolizes loyalty, resurrection, and is shaped like a trumpet. Hellebore is a rare flower with a deep purple color because many are found in pink and white. 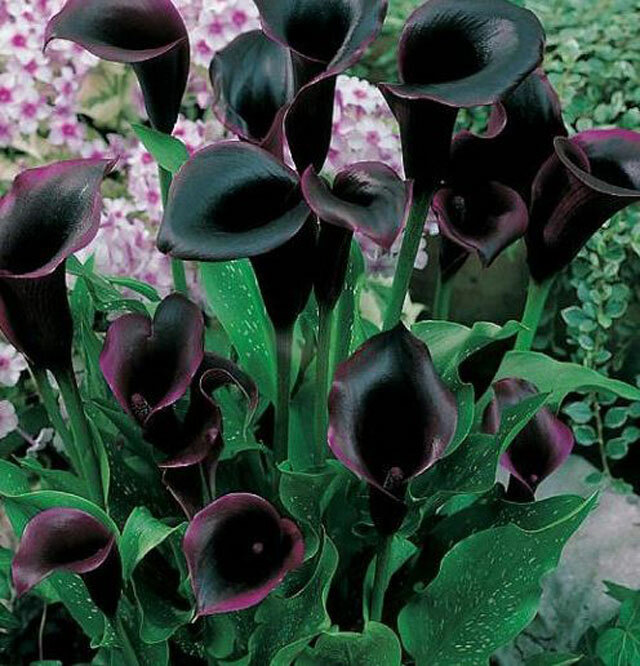 Dark purple or black looks very rare and is considered a poisonous flower. 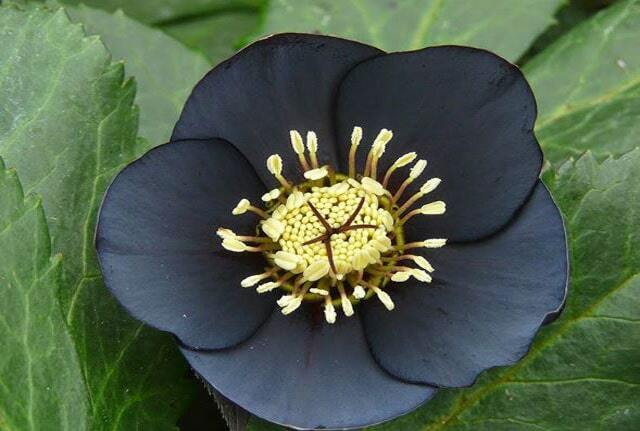 The toxin content in Hellebore adds to the intrigue of this black flower. This rare flower plant blooms in spring, or early spring. It’s easy to plant in pots and he likes full sun exposure. This is a unique and rare type of orchid. The shape is like a flying bat making this flower called “bat orchid”. Dark brown adds to the impression that it is like an animal that night. 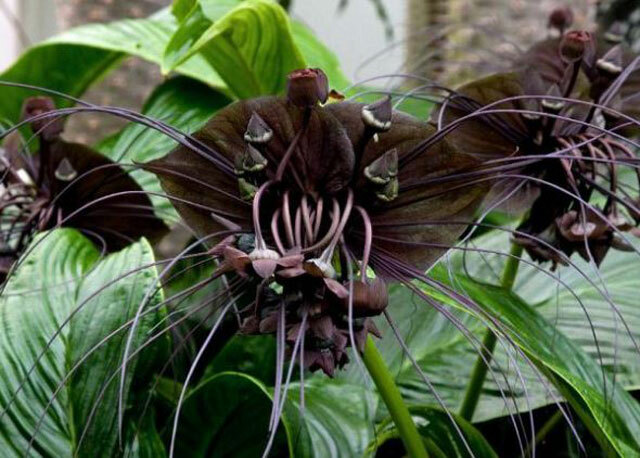 Besides being called a bat orchid, it is also called the “devil flower” because of its spooky shape like a ghost. Another name that is also often referred to as “Cat’s Whiskers”. Scientists believe that this flower has the ability to fight cancer. Pansies are common flowers, but for dark purple species like this are very rare. 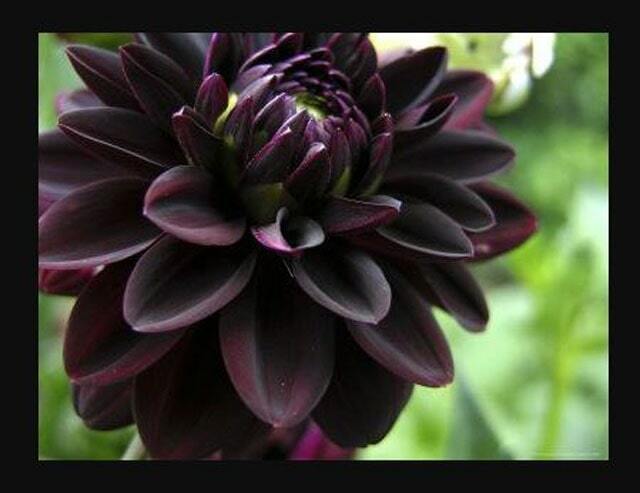 This black flower actually offers a soft purple color. This color seems calm and soft and very close to the traditional impression. The color is blackish red and very unique. Although it is like a dark night, the flower is very famous for its elegance. First known was in 2006 when the release of the film “Black Dahlia”. This black flower appeared in 2010. This flower appeared in an almost black shade due to a formula perfected by Horticulturists. 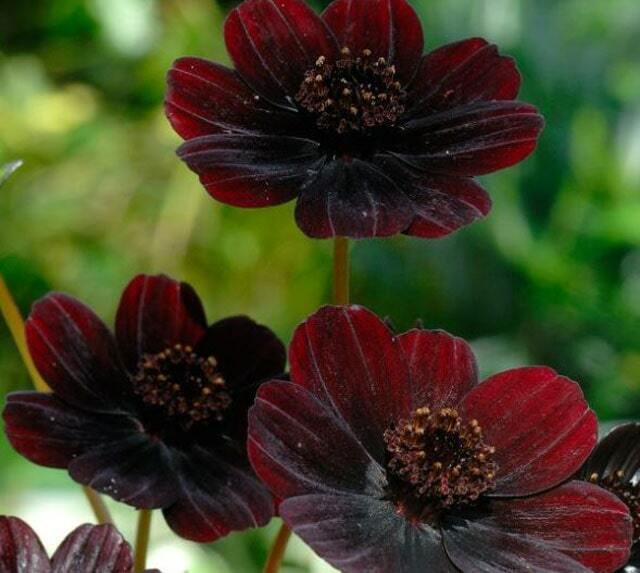 Chocolate Cosmos is a black flower from Mexico. Actually, the color of this flower is maroon and it is unique. Not only is the color black, but it smells almost like the smell of chocolate. 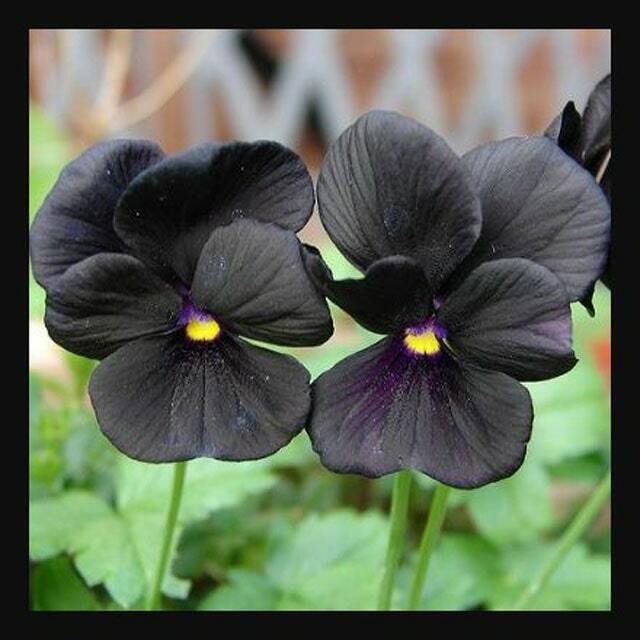 Viola is a black flower that can grow either in pots or in open gardens. That is, you can plant it in the room or outdoors. Molly Sanderson flowers begin to bloom in spring and decorate your garden and your container accompany spring. Baccara Rose is dramatic for every bouquet, vase or garden. The dramatic impression and attractive colors make this flowering plant very popular in the market. Not only that, but the smell also attracts the sympathy of many people who kiss it. 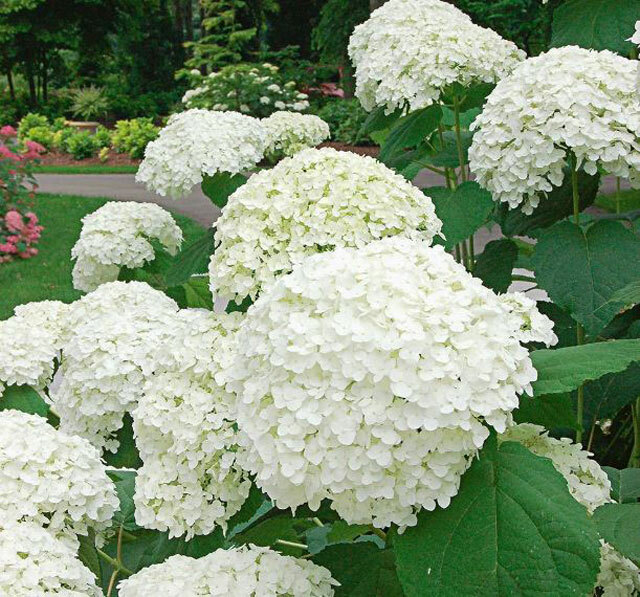 Once we know the list of the best and most popular black flowers, now is the time for us to see the best white flowers. White roses become a sign of beauty and symbolize the love of young people. 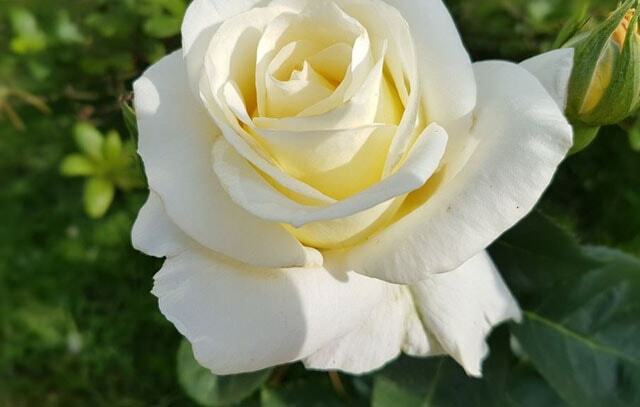 In addition, white roses also give meaning to purity, virtue, and hope. There are still many other meanings of white roses like admiration and are often used in death events. This is a unique white flower when it blooms it will be more beautiful and make many eyes look at it. Its beauty often makes beauty between married couples. If it is arranged in flowers, it will give a royal bouquet. This flower symbolizes chastity and the virginity of a girl who is married. 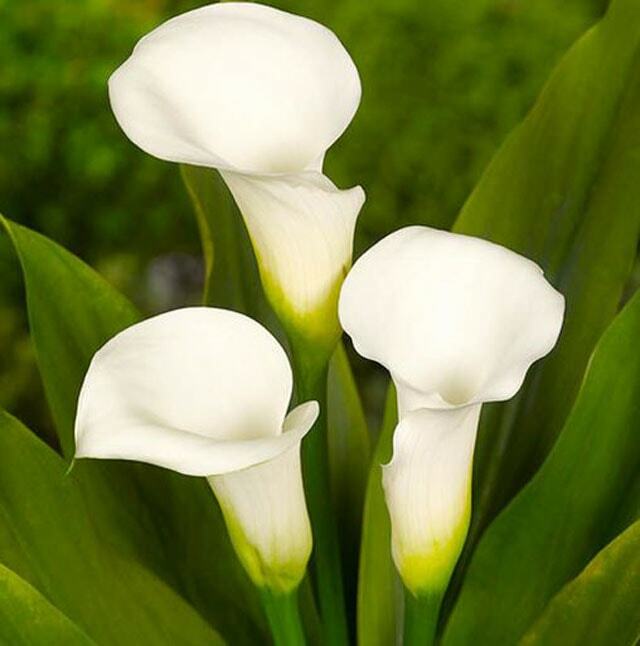 White Calla Lily is unique, it is a large trumpet. This flower symbolizes extraordinary beauty and victory (this is the shape of a trumpet). 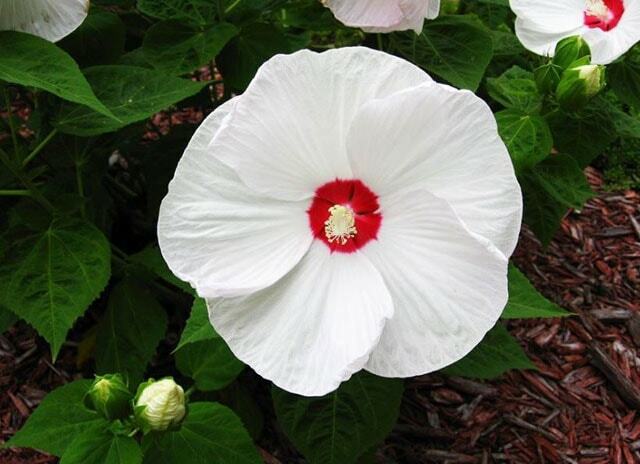 This white flower is also claimed to be related to angels and gives meaning to purity and faith. 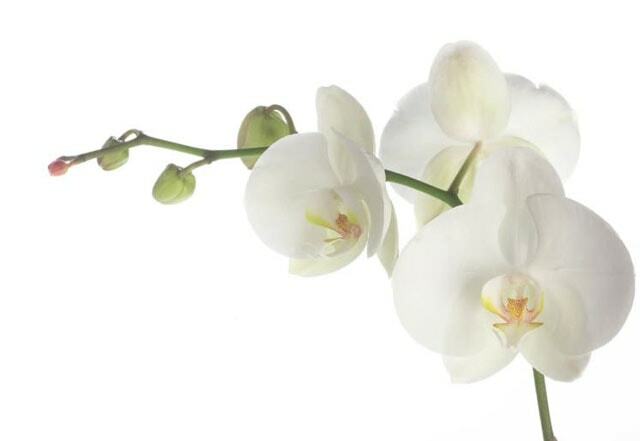 After we see black orchids, now there is a white orchid flower, it is one of the white flowers with charming beauty. White orchids without other color polish are rare orchid species. The flowers are white and fragrant to be an attraction. This exotic flower symbolizes purity, innocence, kindness, and is considered a source of glamor and elegance. 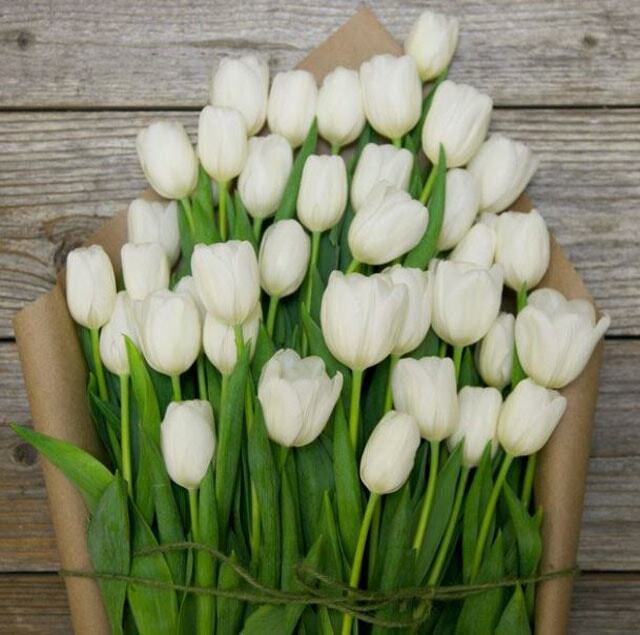 White tulips can conjure your eyes. This is the most favored flower in the whole world. This is often considered a symbol of warmth. Flowers that bloom in this spring also symbolizes the beauty of new life. This white flower is also a symbol for forgiveness, so someone who wants to apologize will usually give this white flower or White tulips. This is a simple flower that offers classic beauty. This flower has three variants. One of them is regular carnation with flowers at the end of the stem. 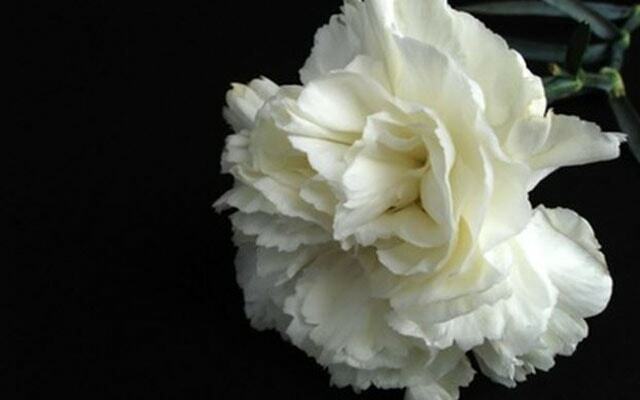 Next, a short white carnation in the form of a bush with several flowers on one stem and finally, spray one with a small flower. This flower is often present on festive days or at wedding parties. So, some beautiful black and white flowers. These flowers have a special meaning for everyone. the beauty and uniqueness of the flowers are sometimes able to conjure eyes, especially for those who like flowers. Previous articleCan Cats Eat Lettuce? What About Cabbage?